Stone slab. 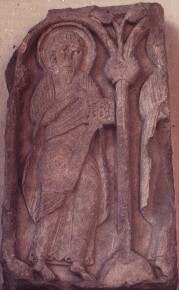 The figure has a halo and is standing next to a form of tree. This is dated to the eighth century.